Our reputed entity is engaged in offering a wide array of CI Column Pipe Adapter. We expect foreign queries mainly. We supply Cast Iron Adapters. These Adapter for Ash Handling Systems (NTPC Basically for Ash Handling Systems). The Cast Iron Flange Adapters manufactured, supplied, exported & traded by our company has been highly acclaimed due to its quality and superior chemical and physical property. These Cast Iron Flange Adapter can be designed and manufactured as per the specifications of our customers. Our company is highly rated in the production of Column Pipe Adapter to the clients. 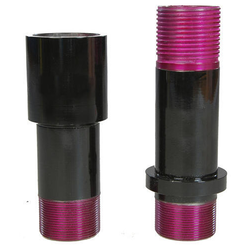 We are engaged in offering a range of Cast Iron Adapter that is painted in black color. To meet the requirements of varied industry applications, we offer this range in various sizes and dimensions. The range offered by us is based on advanced technology and hence, is excessively used in generators, heat exchangers and air coolers. Brand: Jiffy Registered Brand Copyrighted Fittings. 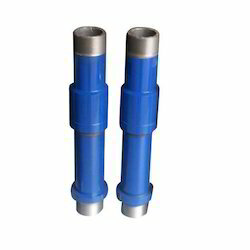 Our company is widely appreciated for offering CI Column Pipe Adapter.